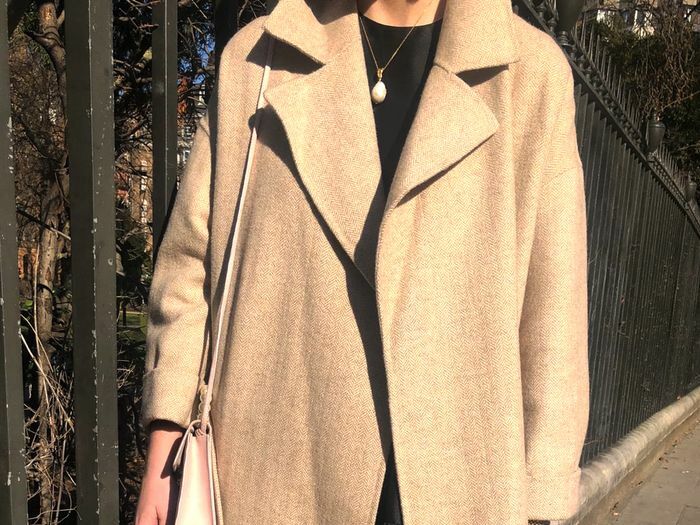 Call us old-fashioned, but there's nothing we love more than when a good wardrobe staple gets elevated to new heights, and this season, it's the trusty trench that has been given the souped-up treatment. 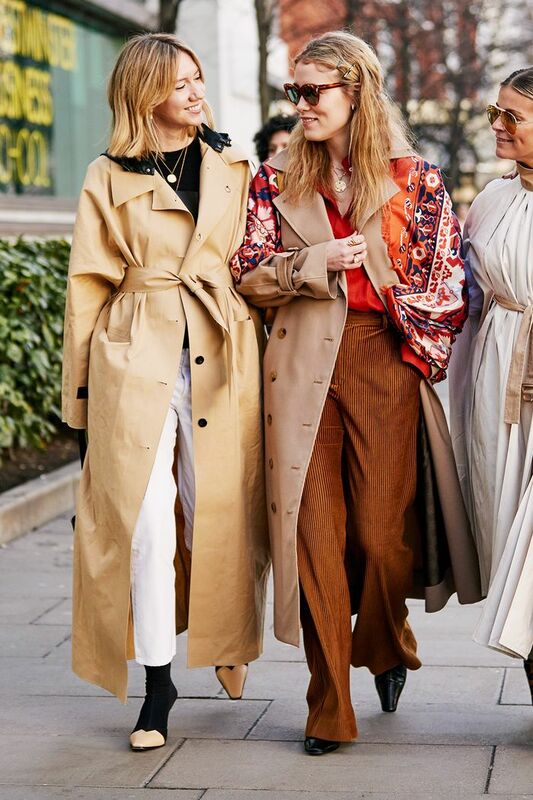 With London Fashion Week being unseasonably warm this February, the fashion crowd took to the streets in an eclectic array of statement trench coats, demonstrating the piece's sheer versatility and cool factor. Shopping app LiketoKnow.It has also revealed that searches for trench coats are up a massive 4500% month over month. If that's not proof of the trench's cult status, we don't know what is. In this season's instalment of Pimp My Trench, we're seeing every reformulation you could imagine. It's all about harnessing the coat's essential elements—wide lapels, loosely belted fastening and military details—and subverting them to create a whole new look. A quick glance at the street style imagery below will show a menagerie of interpretations—from oversized silhouettes and neon colourways to patent fabrics and print mash-ups. Far from the double-breasted, biscuit-coloured Burberry originals, the trench-coat family is suddenly looking a whole lot more diverse. With spring approaching, a statement trench is the ultimate transitional-weather piece. Why? Because it will work just as well thrown over a chunky jumper and jeans if it's chilly as it will with a floral dress and mules. Also, it's the sort of trend that you could easily track down in a charity shop or vintage store, which means there's less of a chance you'll have the same one as everyone else. Scroll down to see how the fashion week crowd wore their statement trenches and shop our edit of the best ones available to buy now. Style Notes: Patent is the bold fabric that has hit the mainstream this season. A high-shine trench is a seriously fun way to work the trend, as seen on this model. Style Notes: Susie Bubble's Roksanda trench coat cleverly combines two fabrics to create a striking mash-up effect. The sleeves are also pretty fab. Style Notes: When it comes to trenches, we say the bigger the better. This street styler has opted for a roomy iteration in chic khaki green. It would also look amazing inside out (just saying). Style Notes: It might have all the essential elements of a classic trench, but the discerning eye will notice subtle tweaks—such as the asymmetric bottom half and oversized sleeves. Style Notes: Forget the muted beiges and camels of traditional trench coats and instead try one in spring/summer 2019 neon. Style Notes: If patent fabrics or neon hues are a little too much for you, then take your cues from this stylish individual who opts for a classic trench style with a two-toned finish. Wear this with tan accessories. A trench coat for all you minimalists out there. Blush pink is an easy way to incorporate colour into your wardrobe. Linen fabric makes this high-street trench look so expensive. A good mid-priced option for colour lovers. Everyone has been wearing this Topshop patent trench. The rust hue makes it look so retro. A designer iteration with a softer silhouette. Like we said, when it comes to trenches, go big or go home. This black patent trench will look super chic with a woolen black knit and tailored trousers. The Burberry classic gets a 2019 update. We love the simplicity of this & Other Stories belted style. Checks are the heritage fabric that feels very relevant right now.